The UIC EPP790 Series has been discontinued. No direct replacement is available. The UIC EPP790 Series is a high security PIN entry device. 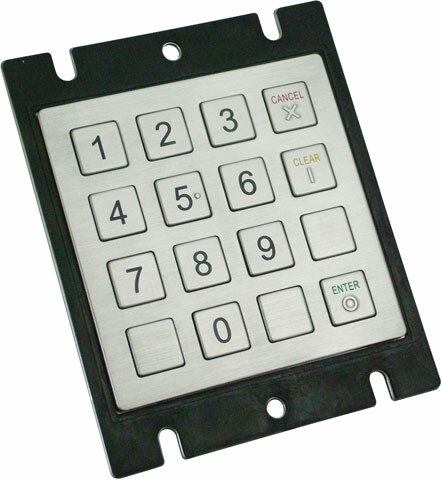 The stainless key pad Dust free, water proof, anti vandalism Wide temperature range support DES/TDES, MAC, DUKPT, RSA encryption 32 bits fast processor PCI PED approval. 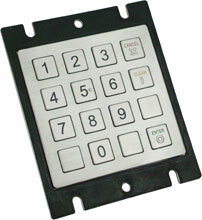 The EPP790 Series is a compact in size and suitable to use on outdoor entrances. Pinpad, USB with USB Cable, Silk Screen, Kiosk Pin Pad. Requires key injection in order to accept debit or credit card payments. Please call for more information.